Purushottam Papatla, the interim associate dean at UWM’s Lubar School of Business, comments on Lands’ End’s strategy with brick and mortar stores. 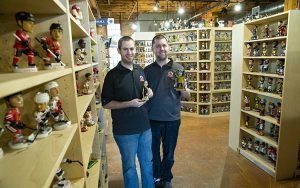 Two UWM grads have turned their hobby and obsession into a business — the National Bobblehead Museum Hall of Fame and Museum, which they opened in February 2019 in Walker’s Point. Jayme Kloss’s recovery could be impacted by news coverage, according to UWM’s Dimitri Topitzes, co-founder of the Institute for Child and Family Well-Being. UW-Milwaukee at Waukesha is one of the sites for an open meeting on black bear management. Bob Greenstreet, dean of UWM’s School of Architecture and Urban Planning is a member of the board of a newly formed organization supporting street sculpture in downtown Milwaukee. 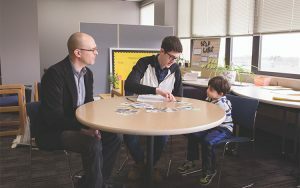 UWM’s Life Impact Program, serving students who are parents, is one of the beneficiaries of an upcoming Brewers’ charity bike ride. 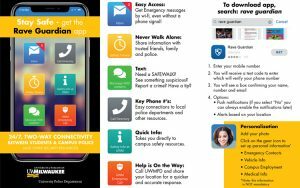 Several university building projects, including renovations to the UWM Student Union, are among proposed projects in Gov. Evers budget that were rejected by the Building Commission. Students who attended the UWM summit on black male youth heard encouraging words about their future.